Subscribe or unsubscribe monthly e-mails. 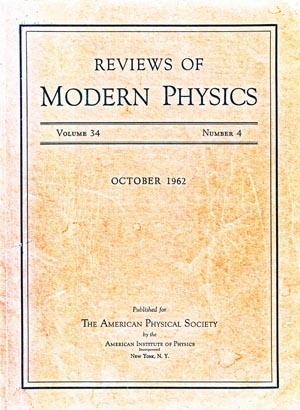 This issue of the Reviews of Modern Phyics (October 1962) was dedicated to Eugene Paul Wigner on his 60th Birthday. Ranking of the physics programs among the universities. 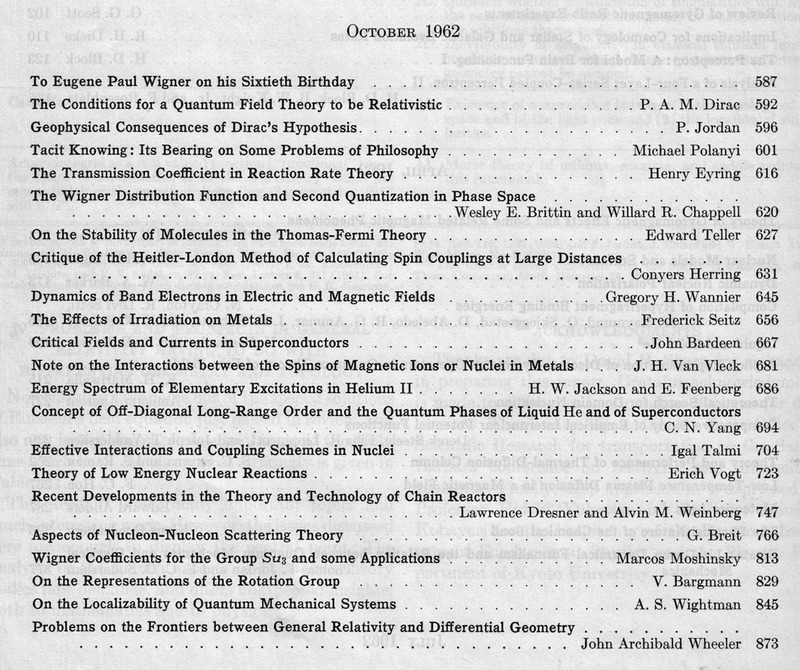 Einstein and Wigner, and their Nobel Prizes. Further contents of Einstein's energy-momentum relation or E = mc 2 . Heisenberg met Einstein in 1954. Einstein and Bohr. Did they ever talk about moving electron orbits of a hydrogen atom? Feynman's Rest of the Universe. Dirac's poems and Feynman's drums. 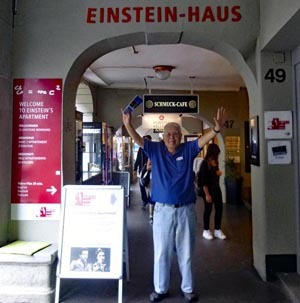 the birthplace of E = mc2 ! BEHIND: Who is behind this webpage? He met Dirac in 1962. He had a lunch with Wigner in 1991. 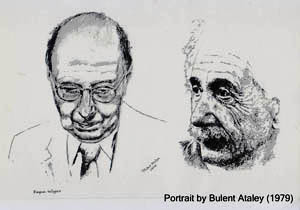 His photo with Einstein. He never met Einstein. How is it possible? Bohr and Einstein. What did they talk about? Digital Literature Like to know how to design good webpages? Photos. Like you, this person attends conferences. Like you, he brings his camera to take photos. He likes to share some of those photos with you. Feynman's Rio. Feynman used to go to Rio de Janeiro. Princeton Campus. What does the word "Campus" mean to you? Who invented this word? Click here if you love New York. Gift Package: Send your request. You do not have to pay!